Groups on matrix of crystals that have the dominant dodecahedron beveled by the trapezohedron. They are very bright and have a very deep and uniform green color. A European classic from the Leif Engman collection whose label we’ll send to the buyer. 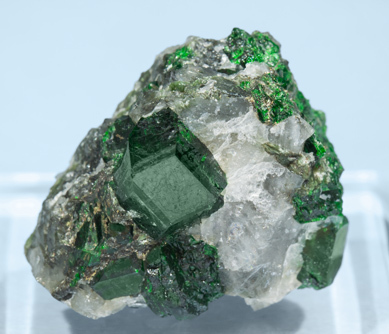 From the legendary Outokumpu Uvarovite Garnet locality comes this old timer. 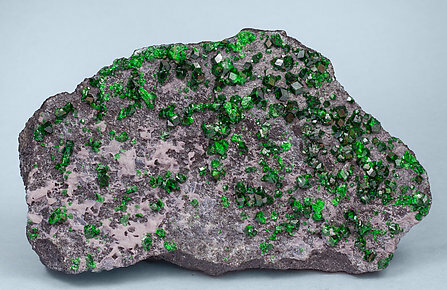 A sharp, well colored, single Uvarovite crystal, floater, and pretty huge for the species. 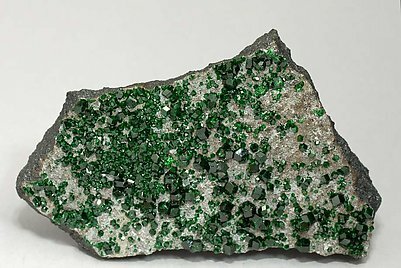 Spectacular group of Uvarovite covering the black chromium rich matrix. 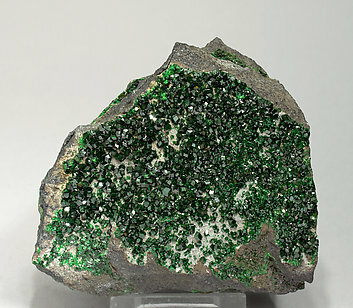 The intense green of the Uvarovite and its richness create a very esthetic specimen. A rich crystalline surface of dodecahedral crystals larger and more isolated than usual in such samples. 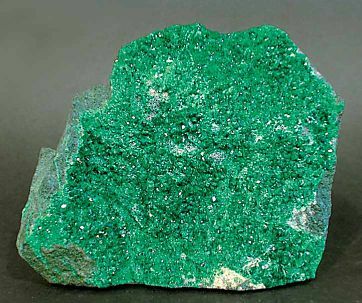 They have very well defined faces and edges, a deep and intense green color and they are very bright and on matrix. 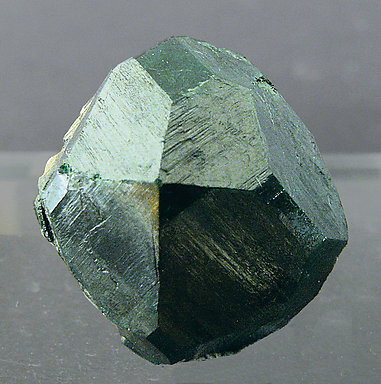 Very sharp dodecahedral Uvarovite crystals that are very bright with a very deep color. Some of them are more isolated and larger than usual for the locality. They are on a rocky matrix. 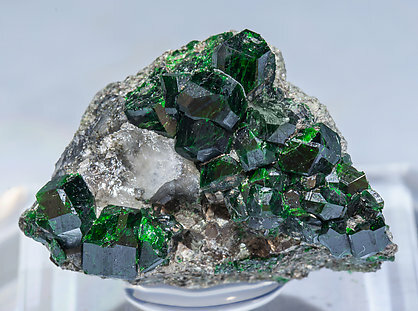 Isolated Uvarovite crystals, one of them clearly dominant, dodecahedral, beveled by the trapezohedron, with very well defined faces and edges and excellent color, very intense and uniform and on a Quartz matrix. We’ll send to the buyer the original label and also a copy of the computer card with the full text the collection catalog.